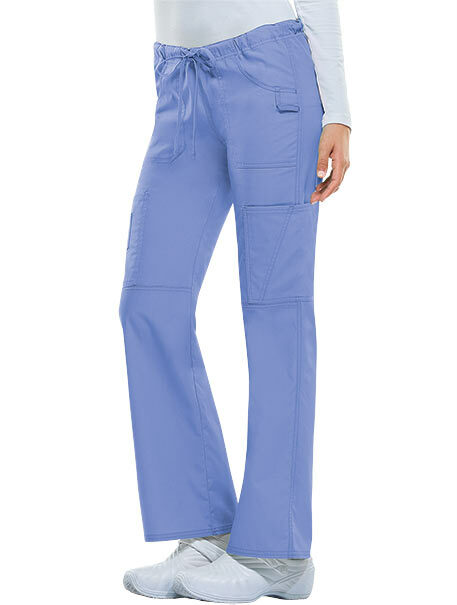 A Contemporary fit, low rise, straight leg pant features an adjustable drawstring with an all around elastic waistband and Dickies logo twill tape on the inside back waistband. 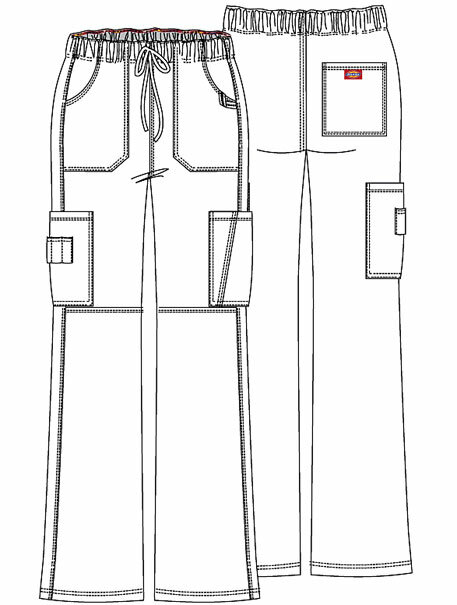 Also featured are patch pockets with a utility loop, cargo pockets, a scissor pocket, multiple pencil slots, a back pocket, front knee seams and double needle topstitching throughout. Inseam: 30 1/2".